In just a couple days you might return home from work or errands to find a basket left on your door step. Perhaps you will be home and hear the doorbell ring only to find there is no at on your front step. Looking down you might spy a little cone of flowers or a basket of popcorn and M&M's at your feet. You know what that means... May Day! Halfway between the spring equinox and summer solstice, the Northern hemisphere celebrates the first day of May as a day of spring, of flowers and of ribbons and surprises left on doorsteps. As simple as a rolled piece of paper, construction paper or even beautiful scrapbook paper, or maybe it's a little bag, a basket or another container... how about surprising your neighbors or co-workers with a little Spring basket? 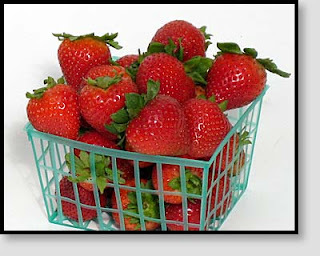 A simple idea that we've used many times over the years (with three children) is a simple fruit basket. Raspberries or strawberries that come in these little baskets can be threaded with paper strips, ribbons or pipe cleaners in bright colors and filled with cookies, popcorn, snack mixes or flowers... real or paper! A quick glance into my files showed me that I apparently don't have any of our May Basket photos on this laptop. Instead I had to turn to g**gle to find a photo of a fruit basket May Basket... but this one from a general search shows you a simple version of a decorated fruit basket. 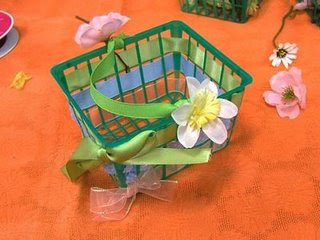 A couple of ribbons, a little flower and you are ready to surprise your neighbor or coworker with a tiny little basket to celebrate the first day of May. Glitter Fondant Stars for Cakes - Shimmering and Fun! This morning as I clicked on my laptop computer and prepared to post I remembered my dream from last night. 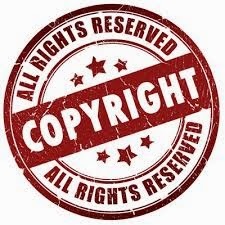 Why would this be worth mentioning here, on my recipe and cooking website? Because the dream was of my boss making cookies at work for the staff. Granted, he's new and has only been there a month and I don't even know if he can cook or bake, and in the dream he was making them in the break room, which has a coffee pot and microwave but that's about it. The most important part of the dream however, is that he was making the shimmering gold fondant stars that I actually made last summer for my FIL's Birthday. Which is why as I sat here in my kitchen sipping coffee this morning I decided to see if I still had the photos in a cooking file on this computer and if so, I would use that as the topic-of-the-day. And? I do! These fondant stars are perfect for birthdays and weddings as well as graduations and even mother's day so get a package of fondant (unless you want to make your own... which you totally can do if you want) and let's get to producing some beautiful, fully edible shimmering glitter fondant stars and shapes to decorate cupcakes, cakes and cookies with!! edible glitter dust - only from the cake and cookie decoration aisle. Do not use regular craft glitter. Fondant is much like PlayDoh. Work it with your hands and roll out as if you were a child rolling dough again. I like to sprinkle powdered sugar on the working surface so it doesn't stick. Cut out your shapes and lay them on parchment or foil to dry. High humidity is not your friend so it may take a day or two to dry stiff if you live in a wet environment. Mix the glitter dust powder with a small amount of vodka in a bowl. paint this on to each of the fondant decorations and let them dry again. The vodka works well because it evaporates so quickly, doesn't make the fondant gummy like water, and doesn't leave any flavor or taste. When dry, use to decorate your cakes, cupcakes or cookies! About two weeks ago my husband asked me about a candy he remembered from his childhood and wondered if it sounded familiar to me. He said when he was just 4 or 5 years old a family friend (an elderly man) would always have them and offer him one when he visited. I'm sure the man passed away 20 or 30 years ago but this candy he was known to love and hand out to small children lives on. It was described to me by my husband as a pure white ball of sugar surrounding a nut... a whole nut, not pieces. He said it was basically a sugar ball surrounding an almond. That's all he remembered. It did not sound the least bit familiar to me but I tucked it away in my brain and spent about an hour online the other night trying to track it down. The nut inside wasn't an almond, but a filbert... but I'll forgive his memory lapse as a child he wouldn't know the difference! The first thing I came across was a recipe to make my own... which I copied down in my files to surprise him with. But then I grinned as I found a company that still makes them!!! Difficult to find, but not impossible I ordered a pound of them and will surprise my husband with them when they are delivered later this week. Since they are a bit costly with delivery charges I'll be making them from scratch from now on. Preheat oven to 375 degrees. In a mixing bowl, cream shortening and sugar, add egg and vanilla; mix well. Combine the flour, baking powder, and salt and add to creamed mixture. Roll heaping teaspoonfuls of the dough into balls; press a filbert into each and reshape so dough covers the nut. Place on ungreased baking sheets. 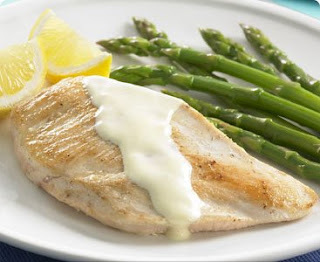 Bake at 375 degrees for 12-15 minutes or until lightly browned. Cool on wire racks. Combine first three glaze ingredients; dip entire top of the cooled cookies into the glaze. Roll in sugar. Attending a formal reception this week really got me in the mood to start entertaining again. Life has been so busy in the past few months that appetizers and entertaining has been in the farthest recesses of my mind. Now I'm jazzed again and ready to start planning my daughters high school graduation reception next month and looking ahead to our 21st Anniversary coming up as well. 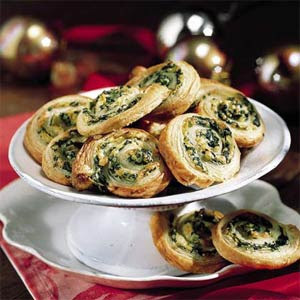 I'm tucking this one away into my 'save' files - it's a spinach appetizer and oh-so-simple when you roll it up in a puff pastry! Drain spinach well, pressing between layers of paper towels. Stir together spinach, artichoke hearts, mayo, grated parmesan, onion powder and garlic powder and pepper. Thaw puff pastry at room temperature 30 minutes. Unfold pastry, and place on a lightly floured surface or heavy-duty plastic wrap. Spread one-fourth spinach mixture evenly over pastry sheet, leaving a 1/2-inch border. Roll up pastry, jellyroll fashion, pressing to seal seam; wrap in heavy-duty plastic wrap. Repeat procedure with remaining pastry and spinach mixture. Freeze 30 minutes; cut into 1/2-inch-thick slices. Bake at 400° for 20 minutes or until golden brown. It's another one of 'those' recipes... a recipe that isn't really even a recipe and is so easy and brainless than I wonder if I should even post it. But I often have to remind myself that it isn't always about the 'recipe' but just something to jar the imagination or the memory and say "Oh yeah! I forgot about that! I should make one of those!" And this would be one of those. Needing a quick and easy dessert that would travel well to my parents house for Easter I baked a confetti cake. What could be more easy or transportable than a trifle? Bake the cake and while it cools whip the cream with about 1/4 c powdered sugar and vanilla to taste (about a teaspoon). Don't overbeat or you will have really sweet butter... just beat till stiff peaks form. Cut the cake into small squares. Layer 1 layer on the bottom of a serving dish. Spoon whipped cream over and later with another layer of cake. You can sprinkle candy sprinkles between the layer if you would like! Repeat layers until all the cake and whipped cream is gone, ending with whipped cream. Sprinkle the top, chill and serve! A trip to the grocery store on a tight budget is never easy but there are certain foods that are always affordable. Pasta is one of them. For about a dollar you can get a pound of pasta that can easily feed a hungry family of 5 or 6 for two meals if it's doctored up a bit. One of the simplest and more delicious ways to serve it it is with a spaghetti sauce. I know for some Spaghetti Night is a 'once a week' meal. I have a most delicious recipe for a spaghetti mix that I got from a dear co-worker at one of my old jobs. I keep it hanging on the inside of my cupboard even though it's only used a few times a year - I always know exactly where it's at. Mix 1 heaping tablespoon of spice mixture to each 8 ounces of tomato sauce. Heat and simmer 20 minutes. Now... you know I'm going to play with your food. Change it, make it yours. The original recipe called for 1/4 c sugar but I thought it was too sweet so I cut it down to 3 T. If you want it sweeter, use a little more. Also, I like to mix it with tomato sauce and petite diced tomatoes, or even fresh and/or frozen tomatoes from my garden. I'm also going to tell you a secret to making a store bought sauce your own; buy the jar of sauce but as it's simmering, add 2-3 T of this mix to it and then some browned ground beef or turkey or tiny meatballs. You'll love the homemade flavor it gives to a store bought sauce! 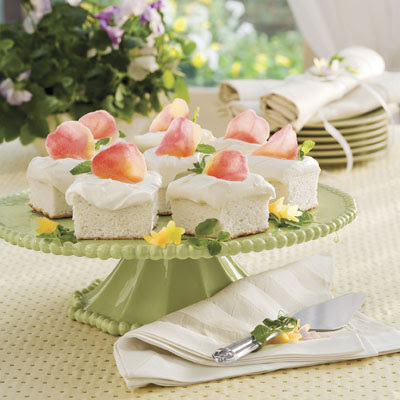 This morning I was reading my Southern Living newsletter (I am a subscriber) and I think my breath caught in my throat when I saw this recipe for a homemade angel food cake. Now, cakes are cakes and it it's really hard for a white cake and frosting to be 'bad' in my book (white cake is my all time favorite!) but the presentation of this one is what makes it a hands down winner in my book. I saw it and knew I HAD to make it. It calls for gumdrop Edible Mixed Colour Rose Petals but if you have real roses or access to real roses that you know for a fact are all natural, never been sprayed with pesticides or chemicals, you can dip them in a beaten egg white with a little water and dip them in fine grained sugar to make a sugared petal, or place them directly - cleaned and dry - on the cake before serving. 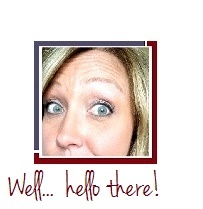 My email attributes the recipe to Linda Nesloney and was published in their April 2008 issue. Really though, you could use whatever white cake mix you want. In this cake, it's all in the presentation. There must be something in the air.... I've had a couple email requests directly to my mailbox for Southwestern Dressing. Now, I tried to rack (wrack?) my brain to figure out when and where I've mentioned this sauce and I have no idea! But the only "Southwestern" sauce we use is a dip for Blooming Onions, Onion Rings, Hot Wings, etc. and yes it's mmmmm good! Mix and chill at least 2 hours before serving for the best flavor. Where do you put copies of recipes you want to make 'sometime soon'? For me I tend to usually tape them up in the inside of my kitchen cupboard. This is also where I keep 2 or 3 recipes that I often want on the spur of the moment like my taco seasoning recipe or my instant onion soup mix recipe. Both of which are usually needed at the last second when I realize I don't have a taco seasoning mix on hand or similar situation. This week I've been staring at a recipe I tape up about three months ago and still haven't found time to make. It's for homemade pretzels, which I want to make with my pretzel-loving-13-year-old-daughter. Looking at it this morning as I opened the cupboard I decided to share it on my website - perhaps you'll get around to making it before we do! Sprinkle yeast on the 1 1/2 c warm water and stir. Add the sugar and salt and then add the flour. Knead until completely smooth (I'd use a KitchenAid mixer for this but you can do it by hand too). Let this rise 30 minutes. Prepare the soda bath with 2 cups water and baking soda mix. Stir often to keep the soda incorporated. Pinch off a piece of dough and roll into a rope. Shape into the pretzel shape or whatever shape you prefer. Dip the pretzel into the soda water bath and place on a greased baking sheet or parchment paper lined sheet. Let rise again until double in size. Bake at 450 degrees for 10 minutes. Brush the top with butter and sprinkle with coarse salt. coarse salt on before baking instead of after.